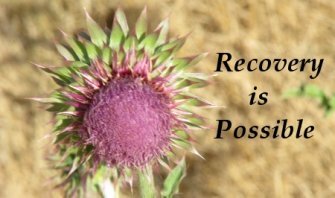 During a recent recording session for “Recovery Now!” the internet radio show, our guest Jim mentioned that he spent an entire year going through Step 7 of the 12 Step recovery program. It seemed impossible in our modern world, that someone could actually spend 12 months working on one single step. We live in a society that demands instant gratification, so taking a year to achieve anything is hard to believe. "Why is this taking so long it has been almost a month and I'm not better?" “Humbly asked Him to remove our shortcomings"
This seems easy enough how could it possibly take a year? Step 7 implies relationship with a higher power, or God, as you understand Him. It’s a partnership, if you will, and so you are asking your partner to remove shortcomings that you have previously identified, and you are giving your higher power permission to do so. There is a push-pull element to that relationship, as we are not always ready or willing to allow outside help to intervene. Also it’s a two-way relationship that may take a while to fully establish. Both sides have to be fully communicating in the relationship. That surely takes time. Although I’ve barely scratched the surface of the complexity of this step, hopefully you get the idea. What do I REALLY believe? In Jim’s case he spent a year coming to grips with his spiritual beliefs. Not based on what his parents told him or what someone said, or on his own anger at the concept of God; but what did he believe and why did he believe it. How can your higher power work to your benefit unless you understand that power and submit to it? I view that kind of introspection as time very well spent. Many people go through life and never decide what they believe about God and why they believe it. What is God as I understand him? Is there a higher power and can I really get help from that power? So the bottom line is as you go through the 12-Step process for yourself or to help a loved one, don’t rush. Take your time. Contemplate each step and really try to understand where you are in the step. Find a sponsor who is caring, but also honest with you about any issues that may be blocking your progress. Try to get to a place where you’re truly "Honest, Open and Willing" to deal with all aspects of your recovery. The 12 Step process is used by more than 250 self-help groups, and over the years, countless thousands of people have benefited. Because the 12 Steps is based on a relationship with a Higher Power, people will only be helped if they are willing to slow down and spend time at each step to receive the full measure of the experience as they work their way through recovery.